Show Shouts highlights noteworthy new and upcoming podcasts from across the vast and fast-growing category. The Wave: The midterm elections are nearly here, and with contentious races around the country, there’s plenty of information to be processed. HuffPost congressional reported Matt Fuller is helming a four-part podcast called The Wave to help give bipartisan perspective. Fuller will speak with members of Congress, candidates on the campaign trail, partisan operatives, and other reporters about what’s happening in D.C. The first episode is already up at Podglomerate and is also available on Apple Podcasts and Google Podcasts. Hell and Gone: iHeartRadio and HowStuffWorks have partnered with School of Humans for a new true crime show. Writer and private investigator Catherine Townsend takes on the case of Rebekah Gould, whose murder in Arkansas that has gone unsolved for 14 years. The eight-part show Hell and Gone will publish its first episode on October 17. Fall of a Titan: Another true crime investigation, this time from the NFL. Sports Illustrated and Cadence13 are pairing up for a show called Fall of a Titan, which will explore the death of former pro quarterback Steve McNair. Episodes will air weekly beginning on October 17. Fall of a Titan will be available on Apple Podcasts, Spotify, and Stitcher. 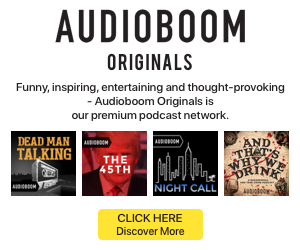 James Cridland’s Future of Radio: New tech means more choice, and the Apple Podcasts Chart is screwed, so what comes next?